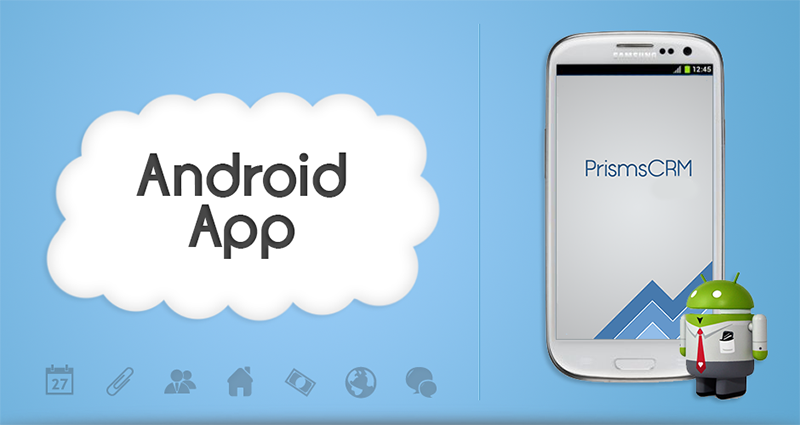 Enjoy the freedom of simplicity and complete Mobility with PrismsCRM Android. It offers the flexibility across mobile and tablet devices. Your Field force can now have their complete customer and territory knowledge at their finger-tips, enabling powerful post-call analysis and pre-call planning. Our clients value the benefits PrismsCRM Android has brought their field teams in making their up-coming calls more planned, effective and results oriented. Vital information and feedback to Head Office can be passed over within a very short time to ensure better decision making at all levels. 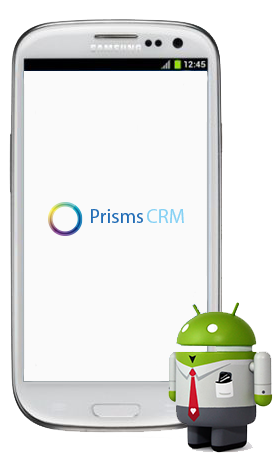 Using PrismsCRM Android your field force can now have complete customer history, analysis and customer planning while on the move. PrismsCRM Android is an intuitive system, very user friendly and usually needs less training than many systems to get started. It can be accessed offline and can be synchronised later at the end of the day. PrismsCRM is user friendly and self intuitive and designed for ease of use by people without depth of experience in such interfaces. Customers can be classified in many ways including by product support and potential, overall support, business value, client type and frequency of visit, as examples. PrismsCRM offers 360° View of Customer. Complete Customer Details, Customer Prescribing or Purchasing patterns and Preferences. PrismsCRM also helps in Identifying the right customer for the right product, planning interactions, resource allocation and the like. Manage not only your customers but also your distributor or wholesaler networks. PrismsCRM can be directly integrated with an existing portal to book orders and your distributor or wholesaler gets an immediate alert for invoicing along with dispatch details. PrismsCRM Web offers real-time access to customer data for analytics, personalised dashboard for all users and extensive reporting capabilities. PrismsCRM Mobile and PrismsCRM Spectra can be synchronised at any point of time to get real time data from your server. PrismsCRM flexibility allows you to assign and re-assign sales territories when required, without fuss. Similarly, new territories can be created from any existing geography and two territories can be merged to form a single territory. KOL Management in today&apos;s Healthcare environments calls for an entirely different approach compared to others in your client base. PrismsCRM KOL Module helps ensure your relationships with KOL customers is planned and managed towards the specific objectives you seek. In PrismsCRM, Workflows can be set up and executed by the users. With automated approval management, all changes requested by the field force can be sent for hierarchical approval. Workflows allow for progressive, step by step approval processes towards campaign execution.